Gmail had recently announced a new feature called the Undo save button, which allowed you to retrack your email within 30 seconds of the it having been sent. 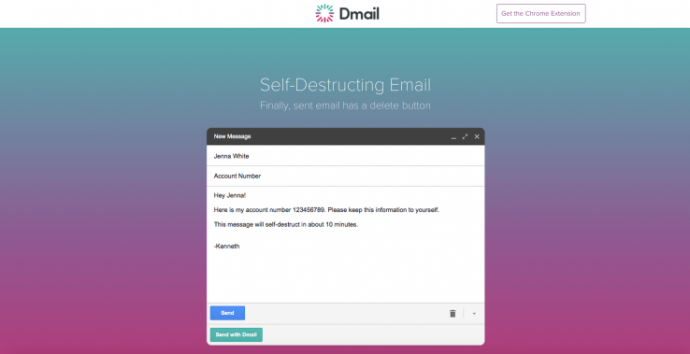 Now Gmail has an extention feature called Dmail created by Delicious (an online social bookmarking company) with a tagline that reads ‘Finally sent email has a delete button’. Dmail is well aware that the concept of re-tracking one’s email isn’t new and has therefore introduced its self-destruct feature, which needs to be installed by the user from the Google Web Browser Extension and for the first time allows you to destroy a sent email whenever you want to. The Dmail button can also be controlled by you with the help of a toggle switch. 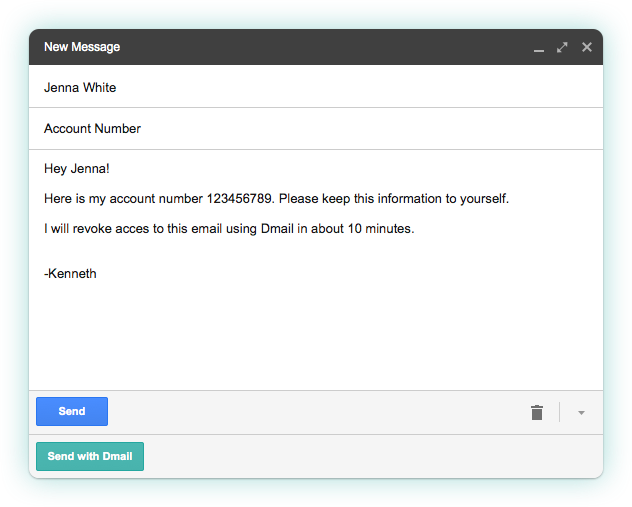 How this works is, that, once loaded, you will have a new option on Gmail, within the ‘compose’ interface which allows you to turn on the Dmail service. Ahead of sending the email, you can specify as to when you want the email to destroy itself. The options given are ‘an hour’ to a day, week or never. And even if you choose the never option you can go back and click on the revoke email button which removes access to that email from all recipients. What is different about Dmail is that the recipent doesn’t need to be a user of the service in order to access the email. 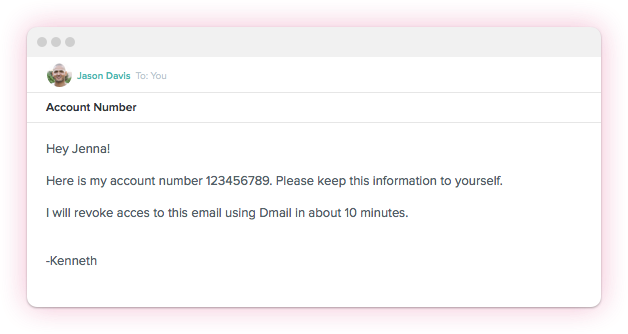 In case one is not a Dmail user and receives a Dmail encrypted mail, you will receive a message that says “This secure message was sent using Dmail. To view this message, simply click the button below.” This will direct the viewer to a web view where they can read the email. The product has been in development for a long time and was built by a seven member subset of Delicious’s team. Currently, the feature is available online for all Gmail users, but not for smartphone users. Hence, the company is looking to expand their business by making this feature accessible to iOS devices in August followed by Android devices. They also plan on making Dmail a fremium service, this means that though some aspects of the service will remain free for individuals; power users and businesses will have to pay for other specific security features. Meanwhile, a document control feature is already in development, and Jones expects this feature to launch before this winter. Click here to download Dmail. Meanwhile, tell us what you think about this feature?